This entry was posted in mainstream fiction, science fiction, writing and tagged editing, fiction, mainstream fiction, Muse, novel, science fiction, slush pile, writing, writing a novel. Bookmark the permalink. I like adverbs too. They help me to savor the moment in a story. Lines like “the wine refreshed them” seem rushed. I think you will find your happy medium. Rushed describes the modern world, doesn’t it? Everything has to be instantaneous now. There should be some areas where we can relax and catch our breath — savor the moment as you said. And for me, reading is one of those. Hopefully an agent will agree! Oh, I do wholehardely enjoy a strong and powerful adjective in an otherwise weary and dull passage, but I do not enthusiastically endorse the adverb, although I do solemnly agree that it serves a useful and important purpose as a place holder as you so courageously pointed out. But even if more have to come out of the books, you can bet I frequently use them in conversation! This is so true: “serve a useful role there. Adverbs are my place holders as ideas rush out and my fingers can’t keep up with them”. Precise evaluation. They hold stuff together waiting for just the right word. But you are also right that sometime adverbs just sound like they belong there. Possibly because at one time stories were told orally? Sound is very important in language and stories. Great post to start the new year. Yes, sound is so important. We do come from that oral tradition. And an agent or writing instructor who tells us to “lose the adverbs” will also tell us to make sure our written words flow well and sound right together. Sometimes, it takes an adverb to do that. Nice post, I myself an adjective. I use too many of them in my writings’. They are so important like my favorite daily cup of tea! Adjectives are wonderful words, too. Every language has them for good reasons! How could we describe the world without them? Excellent post. I am – was – no, still am, and adverb junky. My beta beats me over the head with them sometimes. I love this: “Adverbs are my place holders as ideas rush out and my fingers can’t keep up with them.” I’m so conscious of them now, I’m having a hard time getting through my first draft without trying to catch and fix them all. I’ll have to start thinking of them in terms of place holders and keep on trucking. Time for fixing on the next draft. Ah, your beta is doing his/her job! And so are you. It’s hard to write without editing sometimes. We want things to be “just right” from the very beginning. And, of course, that’s impossible. But successful writers find the paths that work for them. Yes – let’s all keep on trucking in this New Year! I love them all, adjectives and adverbs…as long as they work hard to keep their place! Yes – they have to hold up through ALL the rewrites and edits. Every word must do that! Every book I read has a few adverbs in it. 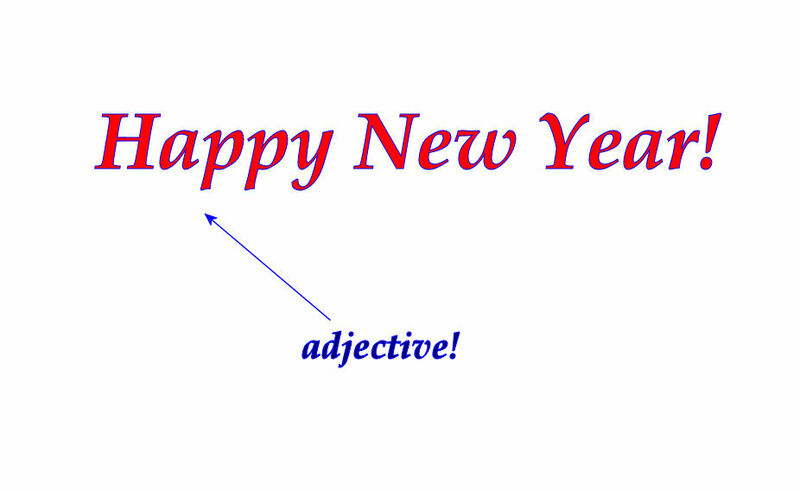 I think there is a trick to using adverbs so they work with the sentence and aren’t a crutch. I wholeheartedly agree that they are great placeholders in a draft, but many times a stronger action verb during revision can remove the need for an adverb. Then it’s just an extra word that doesn’t really contribute much to the sentence. Those are the adverbs that need to be annihilated. I definitely replace most of them with better verbs as I revise. But a few always withstand multiple rounds of edits. And those are the ones I think should remain. We’ll see if an agent or editor will someday agree…. I like the “adverbs are place holders” idea. After all, we never submit our drafts to editors and if you are like me I do a search for adverbs, passive voice, and, when my critique partners gently point it out, my favorite repetitive words in whatever I’m working on. BTW, thanks for stopping by my blog. Oh yes, passive voice and favorite words. I have to be careful with those, too. Passive sneaks in from my day job. Favorite words, well, they’re just favorites, aren’t they? Honestly, I’ve been editing way too many “honestlys” out of a couple of characters’ dialogues! PS – thanks to you, too, for stopping by mine! I enjoy reading about the journeys of fellow writers. I am so glad that idea has caught on with readers. I wish I could’ve articulated it in my head when I started writing my first draft of my first novel! But now it helps me through those early drafts – I don’t stop my flow of thought and switch to editing when I realize I’ve used a lot of them. And those early drafts should focus on writing and getting the story down, not choosing the final, perfect words. Definitely. That place holder idea is very quotable! Noticed last night the adverbs in the title, Extremely Loud and Incredibly Close. I wonder if there were fights in marketing meetings about the –ly’s? Would losing the -ly’s be a potential cost-cutting measure? Fewer letters to print? Less space needed for an ad or copy? Adverbs are a crucial part of the language. How else does one comunicate certain things? ‘He swam quickly’ couldn’t really be replaced by anything else simple and clear. Love this post and I totally agree. I absolutely (adverb!) agree on their importance. Why else would they stay in the language the way they have? Certain words can become obsolete, but I don’t see any sign that adverbs are disappearing. And I can’t believe they should be confined to “literary” works or academic/professional use. Like anything in writing, they can be overused. But they’ve never detracted from my enjoyment of a story. Hi, Steeny Lou, thanks for the follow! And you have my permission to quote about adverbs. 😉 Somewhere in the WordPress changes, it looks like they revised the settings for contact information. I know it used to be there. There may very well be a widget for it—I’ll have to look into it, too. I hope correcting the doctors’ grammar was simpler than deciphering their handwriting! Thank you for that permission, JMM. When I do the post, I will let you know. And, yes, correcting the grammar of doctors is, for the most part, simpler than deciphering their hieroglyphics, at least for me. As I see you are involved in archaeology – maybe hieroglyphics is something at which you might have some skills! Greetings, JMM. Here is the brief blog entry. I love making note of helpful writing tips. Thanks again for allowing me to share it. Pingback: Adverbs are not necessarily necessary | Holy Sheepdip!